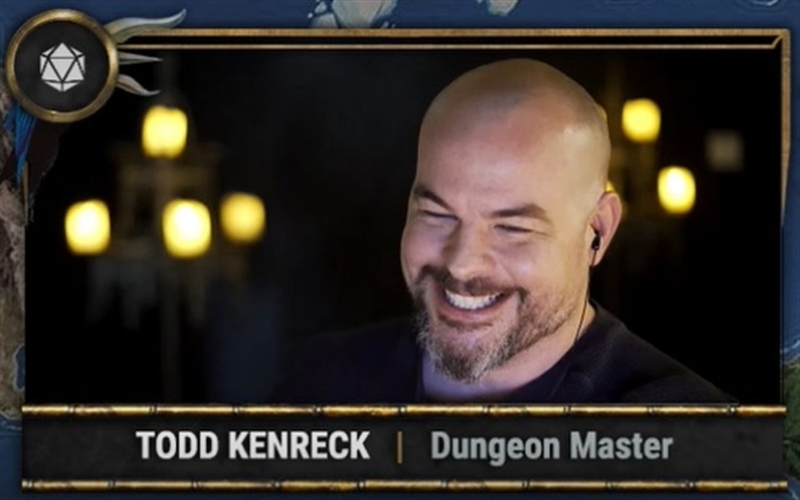 Heroes of the Vale Recap Ep 3 "Fire and Ruin"
"I am Todd Kenreck. I am taking over the Dungeon Master's duties for Mike Mearls. In truth, I destroyed Mike Mearls. 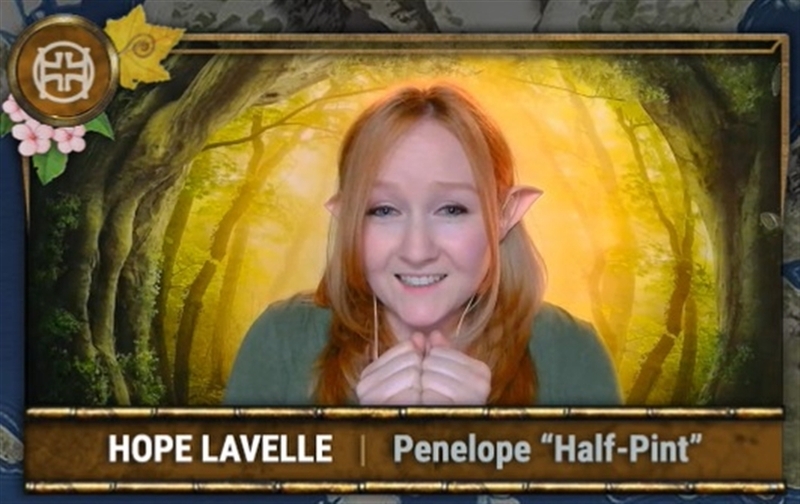 I wanted this job so much, I've gotten rid of [him], and now that I'm in charge, it's going to be a TPK right off the top, everyone. Sorry. I just can't wait to destroy the world." 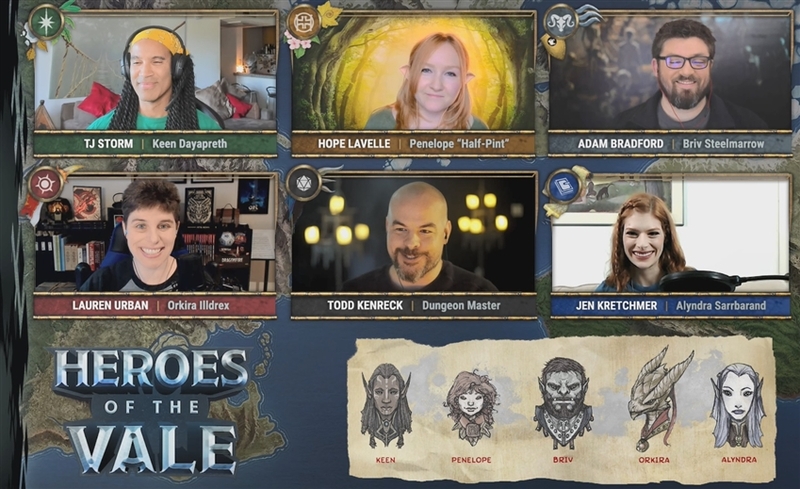 Watch Heroes of the Vale: Episode 3! Previously, an old man dressed as a beggar stepped from the Shadowfell into the Material Plane, with a long beard almost touching the ground and in an tattered shawl with a bowl. This being was known as Ruin, and he was prepared to kill. This week, Ruin attacks the party with increasing fury, causing black caustic ooze to seep up from the ground while calling out how the party is nothing to him. Fla’apper quakes in fear, and apologizes as she flees the battlefield. Things are looking grim, but extraplanar help arrived to combat the extraplanar threat. Keen, high elf cleric-and-wizard bursts from a tear in space, doing a double backflip with a half twist to land and join in the fight! From the side of the battle, another figure arrives, having foreseen this moment, and commanding the stone golem to “COLLAPSE!”. As it crumbles to the ground, Briv dodges out of the way of the falling debris with ease! As the group converges on Ruin, the creature grows more desperate. It causes the rest of the buildings to come to life, and scrapes its claws along Briv’s shield. A whirlwind of glass shards spray at Briv, but he gets away with mere scratches. Avren is not so lucky. A powerful spell bursts from Ruin and annihilates Avren. The battle rages on, and Ruin begins to show signs of fatigue. Orkira uses the magical card to trap Ruin, sucking him into the magic item and ending the battle. The card falls to the ground, and Keen strides towards it. He raises his green-flame blade and declares, "This card has seen its end," and burns the card to cinders. Despite Orkira's best efforts, her healing is not enough to restore Avren to life. He was too far beyond the gates death, and the group sorrowfully carries Avren's body outside the town. They lay him beside the spot where he buried his gold, and sift through his buried treasure. They find some strange objects among the gold; a pistol, a small glass orb, and a locket with a gnome woman with red hair. Penelope collects these things and puts them in her pack in hopes of finding this woman one day and delivering them to her. The group conducts a solemn ceremony and bury their fallen friend. The person who had joined the fight introduces herself as Alyndra Alexandria Garanahil Sarrbarand, Lorekeeper of Rime Spiro, Kinscribe of Clan Monkeymouse. She adds that she is fine being addressed as a woman – as "she" – or as nonbinary – as "they." With her is an owl named Griff, though she indicates that Griff might not actually be an owl but something else. Alyndra is searching for knowledge and decided to aid in their battle. Back in the town Briv finds a strange body under the rubble, a creature he does not recognize. Alyndra is able to identify it as a gith, an enslaved race normally under the control of horrible Illithids. Keen is impressed by the gith's weapons and armor and takes them. With Ruin gone, the Shadowfell creatures begin to return, first as ethereal voices that celebrate the group, “They are the heroes. The heroes of the Vale!”. Orkira is disturbed by the creatures, and Keen and Briv just want to leave. Penelope and Alyndra, however, try to talk to the creatures, letting them know they are free to leave if they want. But as the Shadowfell being coalesce into their physical forms once more, the beings express confusion and sorrow, and implore the group to stay. Tired and sad, they leave town to camp in the field near where Avren was buried. Penelope and Briv quickly fall asleep. Alyndra and Orkira share prayer rituals, Alyndra with an elaborate evening meditation to Oghma that ends by asking what they have learned that day. 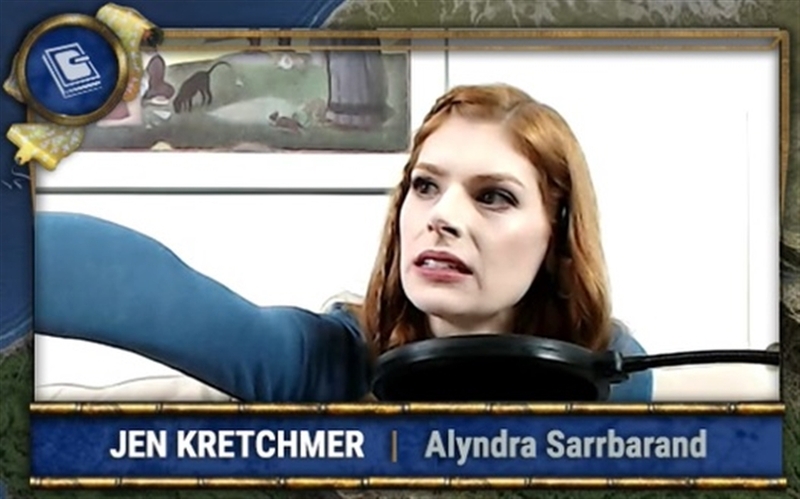 When Alyndra has a hard time coming up with something, Orkira sadly muses, “Today I have learned that sometimes I am not able to save everyone. But that it is important that I go on.” Keen takes a position near Avren’s grave to think, and the sorrowful Eladrin morphs from Summer form to Winter form as he meditates upon the loss of his friend. The next morning, after Orkira makes breakfast while completing her relatively quick prayers to Pelor, the group head back through the Cloakwood to return to town. Briv tries to carve his name into trees and begins banging against his shield, calling out to the demon that chased them the last trip through. This alerts a group of bizarre, jellyfish-like creatures that float down from the canopy, but Briv is familiar with them and knows they are flumphs. They warn the party that the Cloakwood is filled with fiends, including a pool that is in the direction they are traveling. They also recognize the armor Keen has taken from the Gith, and cautions him that there are more of them ahead. Something startles the Flumphs and they suddenly flee, calling out to run! Keen, Penelope and Alyndra take a defensive position near a tree, while Briv strides forward with Orkira following. Some strange charm washes over the group, causing Briv to suddenly rush forward and dive into the pool! He feels content, seeing the face of the one that he loves the most as he sinks into the water. Can Briv be saved from this mysterious pool? What fiends wait in the Cloakwood? Tune in January 30th for Episode 4! Avren really died that early. Seriously? There are so few Hexblades in mainstream D&D stories. 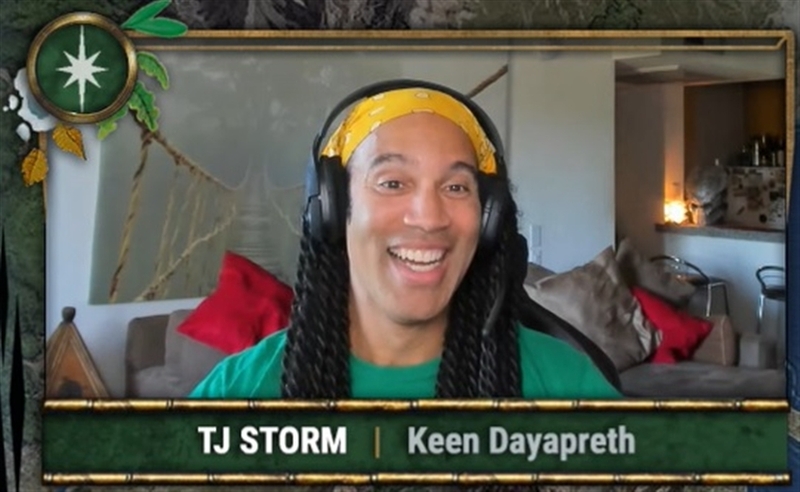 Critical Role has a Hexblade!